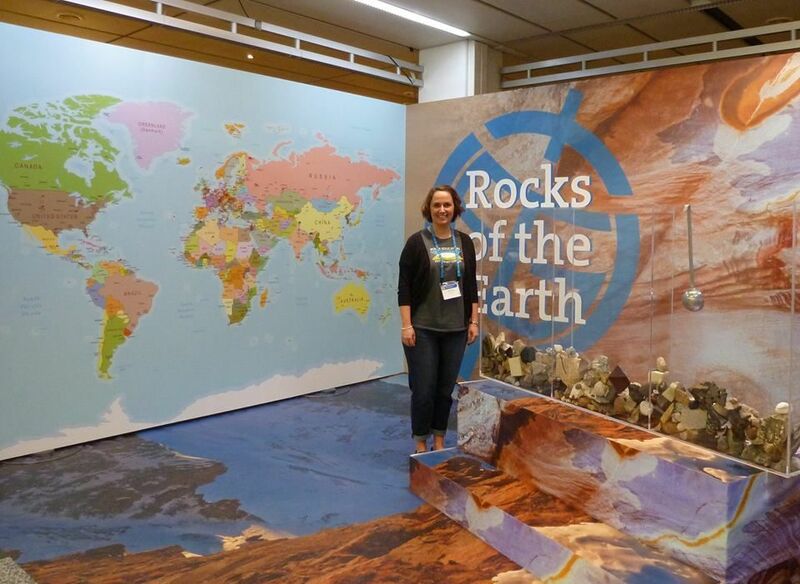 Today’s GeoEd post is brought to you by Susan Tate, an 8th grade teacher from Michigan in the USA. Susan attended the GIFT workshop held during the General Assembly last year. The GIFT programme offers primary school to high school teachers the opportunity to upgrade their knowledge in geophysical themes and to shorten the time between new discoveries and textbook information. After three days supercharging her geosciences knowledge at the 2014 conference, Susan shares her perspective on the GIFT workshops. What do you get when you combine a three-day Earth science workshop, world-renowned scientists, inspirational fellow teacher-participants, and one of the most beautiful, historical and culturally-rich cities in Europe? Answer: an opportunity of a lifetime for this small town Midwestern teacher, who had never even traveled to Europe before. As a recipient of the William Goree Award for 2014, I would be experiencing the European Geosciences Union GIFT (Geosciences Information For Teachers) workshop in Vienna, Austria, fully funded by 2G-Enterprises (the company founded by the late William Goree and William Goodman), EDUGEA (an educational association in France), and EGU. I learned of the EGU GIFT workshop and the scholarship opportunity from an announcement in a NESTA newsletter in November of 2013. When I asked my principal for permission to apply—as I would be missing four days of school if selected—I told him that it was definitely a long-shot, but it would be a dream come true to attend. Imagine my excitement when I got an email in mid-December notifying me that I was to receive the Goree Award! I spent the next few months preparing for my late April trip, and at the recommendation of Dr. Carlo Laj, chairman of the EGU Committee on Education, and Dr. Stephen Macko, a professor at the University of Virginia who serves on the committee, I was in frequent contact with Abigail Morton, a Pennsylvania teacher who had received the Goree Award the previous year. Armed with insider knowledge, abundant excitement to see the beautiful city of Vienna, and growing curiosity about the workshop speakers and participants, I stepped off the plane early on the morning of Sunday, April 27th ready to soak it all in. The program began with a pre-workshop reception and guided tour of the Vienna Museum of Natural History. This museum, celebrating its 125th anniversary this year, is located in the heart of the historic section of the city. As I wandered through the astounding collection of rocks, minerals, and fossils, Dr. Macko informed me that the museum houses the oldest and largest public collection of meteorites in the world! At the museum I met the other American teachers in attendance, including four Einstein fellows who were working with NSF and NOAA. The conference had not yet officially begun and I knew I was going to be inspired as much by my fellow teacher-participants as by the program speakers. The theme of the 12th annual EGU GIFT workshop was “Our Changing Planet” with an emphasis on climate, and on the first official morning of the conference we got right to business with an engaging talk by Thomas Stocker, IPCC (Intergovernmental Panel on Climate Change) Working Group 1 Co-Chair, from the University of Bern, Switzerland. Dr. Stocker highlighted the process of the IPCC working groups, the wealth of data supporting anthropogenic climate change, and the serious risks that we face if we do not act to curtail greenhouse gas emissions. This compelling presentation was followed by a talk from Valerie Masson-Delmotte about climate information that can be obtained from ice cores, and hands-on activities from Sally Soria-Dengg and Francesca Ugolini. I found the experiments on ocean acidification and the role of the ocean in the carbon cycle, demonstrated by Dr. Soria-Dengg, to be very engaging and enlightening, and I cannot wait to use those in my Earth science classes this year as we study the connections between climate and oceans. I especially enjoyed the demonstration of ocean acidification using a glass bowl filled with distilled water and an indicator solution. Lighted floating candles are placed on the water’s surface and then covered with a second glass bowl to make a chamber. As the burning candles release carbon dioxide, the surface water in contact with the air turns yellow, which indicates acidification. This visual demonstration will clearly illustrate for my students how ocean water can become acidic as it absorbs increasing amounts of CO2 from our atmosphere. Day 2 of the GIFT workshop dawned bright, and all of the teachers were ready to learn more about the evidence for human impact on our climate system. One of the challenges for teachers concerning this topic, especially in the United States where it is fraught with political tension and argument, is presenting the scientific data in a way that is clear, concise, and allows students to connect the dots without forcing conclusions on them. Frequently during the workshop the mood in the room would turn quiet and somber as all of the teachers grasped the sheer amount of scientific evidence for anthropogenic climate change. We learned of evidence from ice cores, ocean chemistry and expansion, sea ice melt, agricultural change, and satellite observations. By the afternoon of the second day, we were ready to lighten the mood with a game called The Carbon Caper. I can definitely see my middle school students getting involved in a game that simulates carbon movement between various sources and sinks by throwing plastic balls into mesh bins. The best kind of learning for many of us is the kind in which we feel like we are playing instead of learning. Tuesday’s program was shortened to allow us to get ready for the evening’s poster session. Since the GIFT workshop was part of the EGU General Assembly, there were literally thousands of posters being presented during the conference. It was quite overwhelming to even find the section where I was supposed to hang my own poster, which was on water quality research conducted by my students on our local watershed. Thankfully, Dr. Eve Arnold, also a member of the EGU Education Committee, had prepared us well for the event, and we followed a schedule that allowed us to spend some time at our own poster answering questions, and equal time interacting with other teachers and their posters. I was able to get many good ideas for my classroom from other GIFT participants. On the final day of the workshop, we heard from Dr. Larry Mayer, Director of the School of Marine Science and Ocean Engineering, Center for Coastal and Ocean Mapping at the University of New Hampshire, as he discussed his experiences with recent changes in Arctic ice cover. Dr. Mayer entertained us with tales from his voyages mapping sea ice in the Arctic, as well as cautioned us about the implications of diminishing sea ice on both our climate system and our geopolitical system. According to Dr. Mayer, the five coastal nations that border the Arctic—Canada, Denmark, Norway, Russia, and the United States—have all engaged in extensive seafloor mapping in the last decade in order to establish their sovereign rights over the resources of the seafloor under the Law of the Sea Treaty. This presentation was very interesting and provided us with great resources to make interdisciplinary connections between science and social studies. An additional highlight on the final day of the conference was the opportunity for the U.S. teachers to visit a school in Vienna. Claudia Pollach and her administrators at AHS Heustadelgasse were very gracious to open the doors of their school to us. We enjoyed learning more about the education system of Vienna, and the environmentally sustainable design of Ms. Pollach’s school. I am incredibly grateful that I was able to attend the EGU GIFT workshop last spring with the assistance of the William Goree Award. This opportunity was definitely responsible for expanding my scientific background, which is the purpose of the award. Since returning from Vienna, I have included details of my experience in a presentation at the Michigan Science Teachers Association conference, as well as worked with several extracurricular student groups on climate-related projects. In the next month, I will be teaching units on climate and oceans, and I am excited about incorporating the hands-on lessons that I learned from the GIFT workshop. I owe a debt of gratitude to Dr. Carlo Laj (Chairman of the EGU Committee on Education and founder and President of EDUGEA), Lauren Keaton (William Goree’s daughter), and William Goodman (2G Enterprises) for selecting me for this award and for fostering such high-quality teacher professional development. This guest blog post is brought to you by Nick Arndt, Professor at ISTerre and convenor of the the Great Debate at last year’s General Assembly, Metals in our backyard: to mine or not to mine. During the Great Debate the issue of whether the environment impact of mining outweighs the benefits vs. domestic metal production was questioned. With Europe currently importing between 60-100% of the metals that are essential for modern society, this posts explores how realistic it is to advocate for no mining in our own backyards. 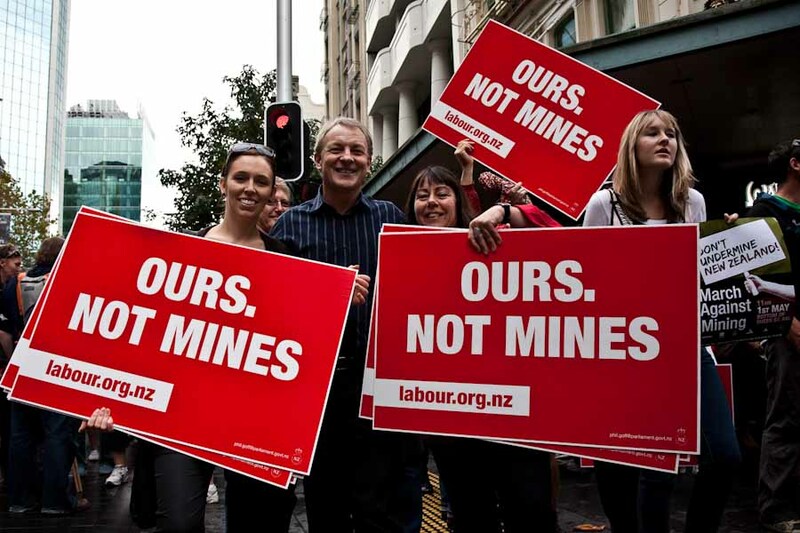 “no mines!!! neither in Rouez, nor anywhere”. When the Rouez activists were asked where the metals needed for modern society should come from, many answered that improved recycling and substitution would provide the solution. If only this were true! Recycling will indeed provide an increasing proportion of our metals in the future, but for decades to come, new supplies of metals and other mineral products will be required. The vast infrastructure of wind turbines and solar panels needed for a low-carbon society will consume huge amounts of mineral products, not only the well-publicized rare earths and other critical elements, but also enormous quantities of steel, aluminium, concrete and sand. All these materials will be locked up for the 20-30 year lifetime of the structures and will not be available for recycling. The main reason why oil prices have plunged in the past three months is the recent availability of large sources of gas and oil from shale in the USA. While the low prices will have a negative medium-term impact on movements to wean society from fossil fuels, in the short term they may provide a sorely needed boost to struggling European economies. France is in a peculiar position – it has been at the forefront of the movement to ban fracking and has prohibited even the exploration for non-conventional hydrocarbons on its territories, but its feeble economy will benefit from the low energy costs brought about by the availability of American shale-derived oil and gas. Other Rouez activists recognized that new sources of metals were necessary, but they were adamant that the mining should be done in a manner that caused minimal environmental damage … and preferably far, far away from where they lived. While some metals can be imported to Europe from countries with stable and competent governments like Canada and Australia, most come from Africa, Asia and South America where governments are commonly too weak, too corrupt, or too poor to ensure that mining is done properly. The concerned citizens of Europe and other rich countries prefer that people in other regions put up with the nuisance associated with mining, and if this means that mining is done in places where the operation cannot be done properly, so be it. The locavore movement argues that we should consume only what is produced within a short distance from where we live. The principle is normally applied to food, and is based on sound principles. Local consumption provides employment to local people and reduces ‘food miles’ – the distance from producers to consumers. But aren’t these ideas equally valid for metals? Is it reasonable and logical to shun green beans from Kenya while consuming copper from the Congo? The Aitik mine illustrates that metals can be produced correctly and efficiently in Europe. This mine, which is located in the far north of Sweden and respects stringent Swedish social and environmental norms, efficiently exploits ore containing only 0.27% Cu, far below the global average. Rather than adopting the dubious stance that others should bear the burden of supplying the metals needed for European society, is it not more principled to argue that mining should done correctly, and in our own backyard? 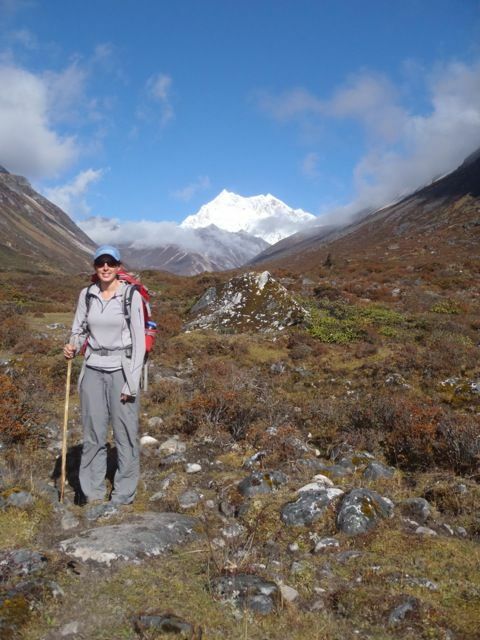 Geotalk is a regular feature highlighting early career researchers and their work. 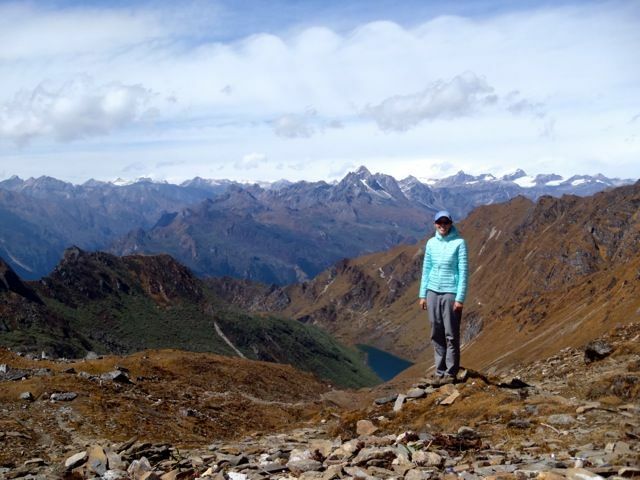 Following the EGU General Assembly, we spoke to Stacia Gordon, the winner of the Tectonics and Structural Geology Division Outstanding Young Scientist Award, 2014. First, could you introduce yourself and tell us a little more about your career path so far? My name is Stacia Gordon. I am an Assistant Professor at the University of Nevada, Reno (UNR). This fall marks the start of my fifth year at UNR. It is amazing how fast the time has gone by! As an assistant professor, I quickly learned that being successful means being a good juggler and having good time management, as there are so many things that require attendance on a day to day basis…..graduate students, undergraduate students, manuscripts, data reduction, teaching, proposals, service work, etc. Prior to UNR, I had many amazing mentors that helped teach me how to manage all of these tasks that are required of you as a professor. Before I moved to UNR, I spent a semester at the Lamont-Doherty Earth Observatory (LDEO) under the Marie Tharp Fellowship, working with Dr. Peter Kelemen. This was an excellent opportunity to collaborate with a great scientist and meet and interact with many other scientists through the numerous seminars that occur every week at LDEO. LDEO also has the most well-organized intramural sports activities of any Earth Science department. Thus, I thoroughly enjoyed taking a break from science to go play soccer during the week. I also had an excellent mentor during my postdoctoral research at the University of California-Santa Barbara, working with Dr. Brad Hacker. I think I spent nearly half of the postdoc away from UCSB, traveling for meetings, fieldwork, and lab work, but I learned a large amount of science and various writing tips for submitting a successful proposal from Brad. Brad also introduced me to many new collaborators (most notably Tim Little, Laura Wallace, and Susan Ellis). In addition, spending free time in Santa Barbara is not too shabby, with its lovely combination of ocean and mountains. My real passion for understanding the mid- to lower-crust began during my dissertation work, while studying under Drs. Donna Whitney and Christian Teyssier at the University of Minnesota. I owe a tremendous amount of gratitude to Donna and Christian and am very happy that I continue to collaborate with them today. In addition, the STAMP (structure, tectonics and metamorphic petrology) group at the U always provided a support network of individuals in which to bounce ideas off of, ask questions, have a beer with, etc. Finally, my dissertation project also introduced me to Bob Miller and Sam Bowring. Both of whom I continue to collaborate with today, and they both had a great influence on my upbringing as a geoscientist. While it was extremely cold living during the winters in Minnesota, the Twin Cities and Pillsbury Hall (where the geology department is housed) were always warm, welcoming places. During EGU 2014, you received a Division Outstanding Young Scientists Award for your work on integration of microstructural data with geochronology, metamorphic petrology, and geochemistry. Could you tell us a bit more about your research in this area? I am very interested in understanding the thermal, chemical and rheologic changes that occur during orogenesis, and specifically understanding the interaction and timing among processes, such as metamorphism, deformation, and partial melting. I have been working on these processes in a variety of tectonic environments, from ultrahigh-pressure terranes (Papua New Guinea, the Western Gneiss Region of Norway) to regions where mid- to lower-crustal rocks are exhumed (North Cascades of Washington, eastern Bhutan in Bhutan). I use a combination of field and laboratory work, including various types of geochronology (high-spatial resolution techniques: ion microprobe and laser-ablation inductively coupled plasma mass spectrometry (ICPMS); and high-precision technique: thermal ionization mass spectrometry), ICPMS trace-element analyses, ion microprobe oxygen-isotope analyses, EMPA chemical analyses. These tools allow me to decipher the pressure-temperature-deformation-time path that the rocks underwent within these terranes. Knowing how and when the rocks were deforming and the maximum depths that the rocks reached allows geoscientists to better understand the processes that led to the burial and the exhumation of mid- to lower-crustal rocks. This also contributes to understanding how mountain belts grow and evolve through time, from when the crustal is thickening to when the mountain belt undergoes collapse and extends, falling apart. What sparked your interest in tectonic processes and what inspired you to use the innovative approach, for which you’ve been recognised, to better understand mountain building and subduction? This may sound a bit cliché but my interest in tectonic processes began as a child. I was raised in the mid-west of the United States, which has been heavily glaciated and is thus the topography is flat. My family would take vacations to the Western United States where I would see the Rocky Mountains and the Cordillera, both significant orogenic belts. As I child, I wondered why some areas were flat and others mountainous. I decided when I reached the University to take a geology class. After taking Geology 101, an introduction geology class, I specifically became interested in hard-rock geology. I found it fascinating that rocks of the mid- to lower-crust have reached high-enough temperatures to ductilely flow, and I was very interested in understanding how orogenic belts rest upon this very weak, ductilely flowing base. In addition, I was (and still am) fascinated that parts of the crust are taken, via subduction, to mantle depths and are brought back to the surface. My undergraduate research advisor was working on some of these high-pressure rocks exposed in Poland, and I was able to do a small project with him on these rocks. Thus, by the end of my undergraduate education, my interest in hard-rock geology was well developed. At the General Assembly in 2014 you gave an oral presentation about the findings of your research on the Western Gneiss Region, Norway. Could you tells more about the key findings you presented there? I have been working in the Western Gneiss Region (WGR) since my postdoc. Brad Hacker introduced me to these incredible rocks, and since this time, Donna Whitney, Christian Teyssier, Haakon Fossen and I have been collaborating, with students, on various parts of the WGR. Within this terrane, it is divided into an ultrahigh-pressure portion (i.e., rocks that were exhumed from mantle depths) and a portion that appears to have also undergone high pressures but that also achieved high-temperature conditions. Within both of these portions of the WGR, there are mafic rocks that are hosted by migmatitic gneisses that underwent partial melting. We have been studying the partial melting history for the WGR because when melt is present, it will be very buoyant. This buoyancy may help exhume rocks from mantle depths. In addition, a small percentage of melt (~7%) will drastically decrease the strength of the rocks; therefore, the melt will play a significant role in how the mountain belt is deforming through time. I have dated numerous of the now crystallized melt bodies and have found that many of the dates that record the timing of melting overlap in time with when the mafic rocks were undergoing metamorphism in the mantle. Thus, this suggests and supports field and experimental evidence from other studies/investigators that partial melting began at mantle depths and may have triggered the switch from the mafic rocks residing in the mantle to being exhumed toward Earth’s surface. In addition, as mentioned above, we have analysed samples from both portions of the WGR, and we find that the timing of the partial melting is consistent across the entire WGR. This represents a significant portion of the central-western coast of Norway shared the same melting history and thus implies that melting was ubiquitous at the end stages of this mountain building event and likely helped to drive the exhumation of these high-grade rocks back to the surface. Generally speaking, what are the main challenges when trying to understand the processes that govern burial and exhumation of rocks? Probably the hardest part about trying to understand these processes is being able to decipher the different parts of the burial and exhumation history. The laboratory tools that I use to understand the pressure-temperature-deformation-time path uses the chemistry of the minerals found in metamorphic rocks. The chemistry of these minerals can preserve a record of multiple thermal events that have occurred over time, and this allows geoscientists to understand both the burial and exhumation history. However, in some cases, the earlier history can become overprinted or erased so that it is difficult to know what happened prior to the exhumation history of the rocks. I would say this is one of the biggest challenges in understanding these challenging rocks. 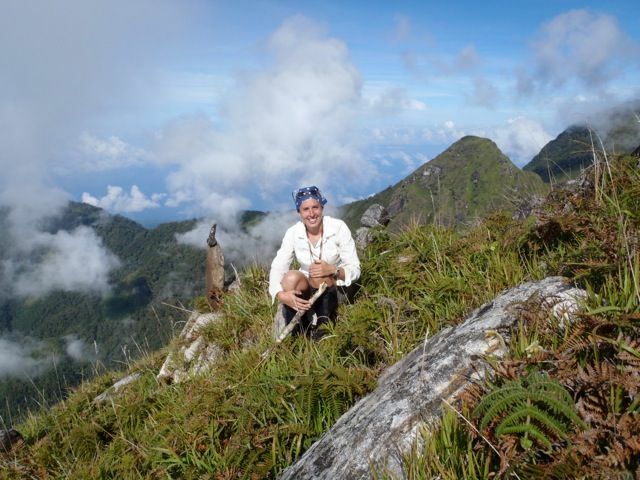 During field work there are highs and lows, and as your research has taken you to some pretty interesting localities, (Bhutan, Norway, Papua New Guinea) no doubt you’ve had some memorable field work moments whilst at the same time overcoming some tough challenges. Can you tell us more about your field work highs and lows? The overall high for pretty much all of the places I have worked (besides the rocks) is the scenery: all of these countries are beautiful places. Also, high in the list is the opportunity to meet with local people and see lots of different cultures. Many of these places (e.g., Papua New Guinea and Tajikistan) I would likely have not travelled to as a tourist so I have really enjoyed being able to go there for the geology. In particular, when traveling to countries as a geologist, you likely get off the beaten path very quickly and so I think it is a view of many places that a typical tourist does not see. There are definitely challenges to working in a variety of these places. In many of the foreign localities, there is a significant communication barrier, where I don’t speak the local language, but we have found some locals who speak English to help with the field work. However, commonly, their English is weak so there is constantly miscommunication about what we want to do, which means that there are constantly evolving plans. This can be very frustrating as typically we want to target very specific rocks that are exposed in very specific geographic locations. It is not until we are in the country that we find out that it is not possible to get to a particular location, which after planning for a trip for multiple months before the field work, can be maddening. Papua New Guinea (PNG) has definitely been one of the most amazing places to work but also the most frustrating. Most of the people are very kind, but there are also many that assume that as a foreigner from the United States that you have lots of money and are trying to exploit the locals in some way. Thus, we spent many a hours talking to people, explaining what we were doing and trying to get permission to work our way up rivers (where the rocks are exposed). In some cases, the locals would either flat out refuse our request to go up the river or would want a significant amount of money meaning that we would have to turn around and give up on a certain trek. On my two trips to PNG, however, we worked with some fantastic local guides that led us up the rivers. The rocks in the rivers were very slippery, and we would easily fall multiple times throughout the day. The local guides, however, would never slip, carried our heavy back packs, and did it all barefoot! They had the most incredible balance and were extremely savvy with using the local jungle to produce whatever they would need in that moment. For example, at one point, we came to a waterfall that we could not scale. Within 15 minutes, our guides had cut down trees, found vines to use as rope, and built us a ladder to go up and over the waterfall! There were multiple incidents like this that we foreigners would watch in awe! Field work is definitely one of my favourite parts of the job. I don’t have to sit at a desk all day but instead, get to hike around beautiful mountains. Thus, there definitely many more highs than lows that I have found in all of the places I have worked. Finally, what does the future hold for you in terms of your research and career plans? I would like to continue working on some of my current research interests but look forward to developing new skills, investigating new research avenues, mentoring many new graduate students, and collaborating with many new individuals! What I have learned from being a Geoscientist thus far is that there are many questions still to be answered about Earth and that as one researches a topic or chats with a colleague, that new research ideas quickly form. Nick Dunstone, the winner of a 2014 EGU Division Outstanding Young Scientists Award, who studies the Earth’s climate and atmosphere, including how they are impacted by natural variation and anthropogenic emissions talks to Bárbara Ferreira, the EGU Media and Communications Manager, in this edition of GeoTalk. This interview was first published in our quarterly newsletter, GeoQ. First, could you introduce yourself and tell us a bit about what you are working on at the moment? 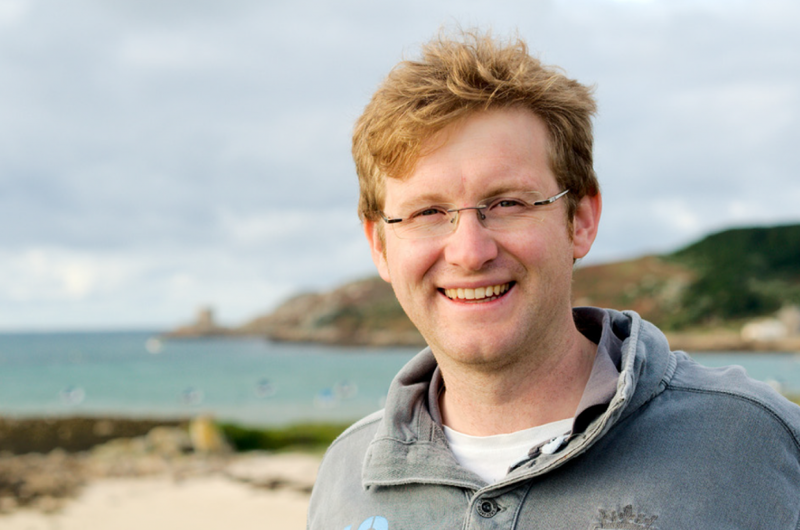 My name is Dr Nick Dunstone and I am a climate scientist working at the Met Office Hadley Centre in the UK. Here I work within the Monthly to Decadal Climate Prediction group which focuses on developing regional climate prediction capability for all areas of the globe. The monthly to decadal timescale (often referred to as ‘near-term’ prediction) is an emerging and challenging field of climate prediction which attempts to span the void between shorter term weather forecasts (days to weeks) and longer term climate projections (many decades to centuries) using numerical climate models. So, similar to a weather forecast, near-term climate predictions are initialised close to the observed state of the climate and yet, similar to a climate projection; they also include the projected changes in external forcings such as greenhouse gases, anthropogenic aerosols and the solar cycle. Much of my research over the last few years has concerned the amount of predictability in the climate system arising from slowly varying internal processes (for example, slowly varying ocean dynamics) versus how much is driven by external forcings (e.g. anthropogenic emissions). Earlier this year, you received a Division Outstanding Young Scientists Award for your work on the coupled ocean-atmosphere climate system and its predictability. Could you tell us a bit more about the research you have developed in this area? Some of my work has considered the role of internal ocean dynamics in driving predictability in the atmosphere. Often we think of the tropical regions as being the engine of the climate system, driving some of the variability in the mid-latitude atmosphere. However, this is not always the case and especially on longer timescales (multi-annual to decadal), the mid-latitudes can drive tropical variability. My colleagues and I illustrated this using a set of idealised climate model experiments that tested the impact of initialising the state of different parts of the world’s oceans. The results showed that it was key to initialise the ocean’s sub-surface temperature and salinity (and so density) in the high latitude North Atlantic to have skill in predicting the multi-annual frequency of model tropical Atlantic hurricanes. This is intimately linked to correctly initialising the model’s Atlantic meridional overturning circulation, and to the question of what sub-surface ocean observations would be needed to do this. I have also worked on how external forcings, such as anthropogenic emissions from industrial pollution, may impact regional climate variability. A lot of the work you have developed focuses on the anthropogenic impact on the Earth’s atmosphere and climate. What does your research tell us about the extent of the impact of human activities on the Earth’s natural systems? In the last couple of years we have examined the possible impact of anthropogenic aerosol emissions on multi-decadal changes in climate variability. We found that when the latest generation of climate models include the historical inventory of anthropogenic aerosol emissions, they are capable of better reproducing the phases of observed multi-decadal variability in North Atlantic temperatures. In our Met Office Hadley Centre climate model, we find that this is principally due to the inclusion of aerosol-cloud interactions. When aerosols are present in clouds they can modify the cloud droplet size (known as the 1st aerosol indirect effect), increasing the reflectivity of the clouds and hence decreasing the amount of solar radiation reaching the ocean surface. Variations in aerosol emissions from North America and Europe due to socioeconomic changes (e.g. rapid post-war industrialisation in the 1950s and 1960s and then the introduction of clean-air legislation in the 1970s and 1980s) then drive fluctuations in North Atlantic temperatures in our climate model. Furthermore, we also showed that the frequency of model North Atlantic hurricanes is also driven primarily by anthropogenic aerosol changes and that it is in phase with the observed changes in Atlantic hurricane frequency. Further work needs to be done to understand if this aerosol mechanism is truly operating in the real world. If so, then our work suggests a significant role for humans in unwittingly modulating regional climate variability (especially in the North Atlantic) throughout the 20th century. This also has profound implications for the next few decades, as North America and Europe continue to clean-up their industrial aerosol emissions, whilst the impact of short-term increases in aerosol emissions from developing economies (e.g. China and India) also needs to be studied. Of course, at the same time, the signal of greenhouse gas warming is likely to become more dominant with associated climate impacts. What is your view on having the Anthropocene accepted as a formal geological epoch? Do you think there are scientific grounds to define the Anthropocene in such a way, or at least in what your research area is concerned? This is an interesting question but not one that I’ve thought very much about! From a climate scientist perspective, I think it is fairly obvious that we have entered a time when the human fingerprint extends to all (or at least very nearly all) environments on Earth. We see the fingerprint in the concentration of greenhouse gases and water vapour in the atmosphere, land and sea-surface temperatures, deep-ocean warming, ocean sea-level rise, ocean acidification, etc… If physical climate changes alone were the main criterion, then surely there would be no doubt that we have entered a new epoch. Beyond this though, the wider Earth biological system is also being impacted by human activity. For example, previous epochs have also been defined based upon mass species extinction, so there may also be a case here for viewing the Anthropocene as a time when the actions of humanity have led to species extinction. Of course there are then questions about how to define the beginning of this new epoch. Many suggest a geophysical marker such as the 1940s and 1950s when radionuclides from nuclear detonations first became present. Or would it be when the atmospheric CO2 concentration started to rise above pre-industrial levels in the early nineteenth century? Or would it be earlier still, when we started significantly altering the land-surface via large-scale deforestation? Then when would the Anthropocene end? Could we envisage a time in the future when we effectively remove our influence on the climate system, e.g. returning the atmospheric constituents to pre-industrial ratios? Or, rather more grimly, would the Anthropocene only truly be over when our species itself becomes extinct? Whilst these are very interesting ‘dinner-table’ type discussions, from a working climate scientist viewpoint the definition seems largely academic and we’d probably be better off investing our time into researching how we are changing the planet and predicting the associated climate impacts! On a different topic, according to your page on the Met Office website, you started your career in science as an astrophysicist. Could you tell us a bit about how you made the transition from astrophysics to climate science, highlighting any difficulties you may have had with making such a career change and how you overcame them? What advice would you have for young scientists looking to make a similar move? To a large extent I think ‘science is science’! Many of the skills are very transferable, especially between physical, computationally based, subjects, where numerical modelling skills are essential. I’ve now met a surprising number of climate scientists who are ex-astronomers, or from some other branch of physics. I think what you need most of all is the drive for learning new things, and making new discoveries, about the physical world in which we live. I found that this is very transferable, applying equally to astrophysics and climate science. I think you settle into a subject slowly and even though I’ve been working in climate science for over 6 years now, I still have lots to learn about our existing understanding of climate system, and that’s exciting. The important thing to realise however, is that you can still make important and useful contributions to a new field quite quickly, especially one as broad as climate science, given the right guidance or supervision. Finally, could you tell us a bit about your future research plans? We need to progress both our understanding of natural (internal) variability in climate models and improve the fidelity of important climate teleconnections (processes linking variability in one part of the climate system with climate impacts in a remote region). At the same time we need to progress our understanding of the relative roles of external vs internal forcing in driving variability and extremes in the climate system. On the shorter (seasonal) timescales I am interested in what drives the year-to-year variability in the winter North Atlantic Oscillation, which our latest Met Office seasonal climate prediction systems can now predict with surprisingly good skill. Much of this work I hope to develop during my new post as manager of the Global Climate Dynamics group in the Met Office Hadley centre that I will start in December.